Sri Lanka on Saturday imposed a raft of measures to restrict imports with immediate effect to try to take pressure off the rupee, which is hovering at a record low, the Finance Ministry said in a statement. The measures include temporarily suspending vehicle permits for legislators and state employees, while imports of vehicles, refrigerators, air conditioners, televisions, perfume, telephones including mobile phones, washing machines, footwear and tyres are also affected. The government says an increase in vehicle imports is one of the prime reasons for a dollar outflow and downward pressure on the currency. 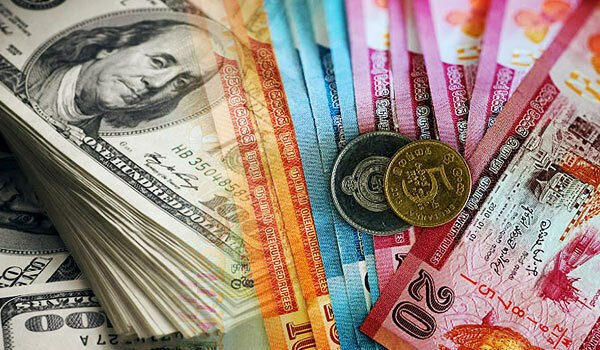 The Sri Lankan rupee fell to an all-time low of 169.40 per dollar on Thursday on dollar demand from importers and from banks to facilitate foreign bond outflows. The ministry said the measures were “to ease the pressure on the Sri Lankan rupee” and that it would “continuously monitor the exchange rate fluctuations and take appropriate action accordingly”. The rupee has weakened 4.7 percent so far this month after a 1.2 percent drop last month, and has declined 10.2 percent so far this year. Previous steps aimed at controlling imports have yet to be realised. Last week, the central bank imposed a new measure requiring vehicle importers to deposit the full value of the cars they intend to import via letters of credit from banks, instead of the current practice of depositing only a proportion. Vehicle imports soared 119.5 percent to $812.7 million in the first six months of this year while fuel imports rose 28.9 percent from the same period last year to $2.1 billion, central bank data showed. In August, Sri Lanka raised the import duties on small hybrid cars by more than 50 percent, aiming to boost state revenue and curb the fall in the rupee. Analysts expect further outflow from government securities after this week’s U.S. Federal Reserve rate hike. Yaha Paalanaya has woken up from their luxurious sleep. However, keep on bashing MR. Rupee with be strengthened!